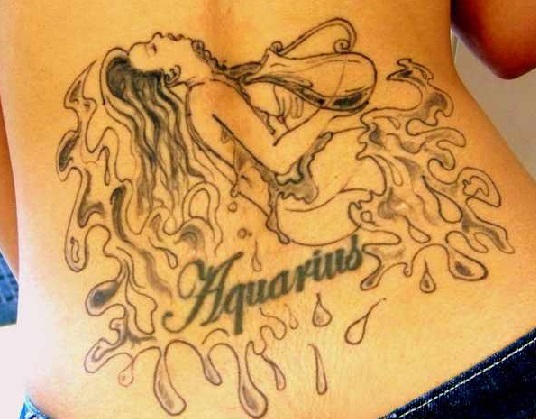 The eleventh sign of the zodiac is Aquarius which is symbolized by a water bearer in the form of either a woman or man. Aquarius, like the watering of a garden, shower their ideas and thoughts with the world. 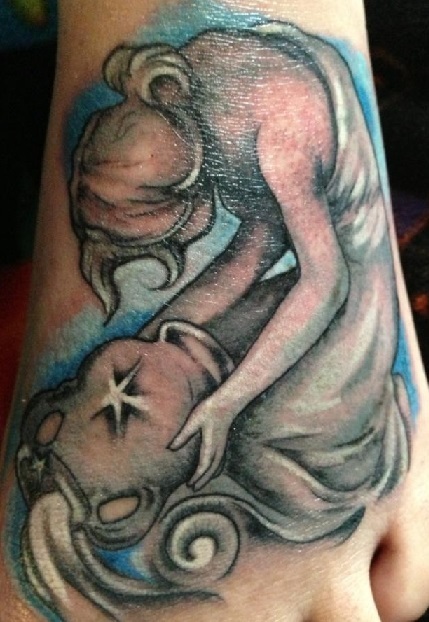 This is very much like the imagery Aquarius is represented by. 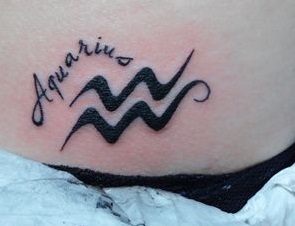 Aquarius born much like their views, ideas and opinions accepted by their peers, so getting the right Aquarius tattoo is essential. 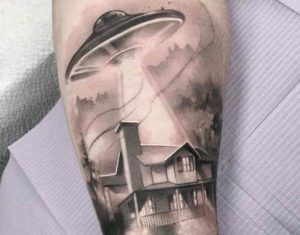 Aquarius tattoo sleeves, water-bearers, water signs and Aquarius equals signs are the most popular tattoos of Aquarius. This sign represents the water that is pouring out of the water-bearers pitcher in the stars constellation. 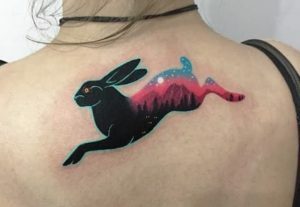 The equals sign tattoo symbolizes how people born under Aquarius live a balanced and complete life. It also shows their desire for equality among people. 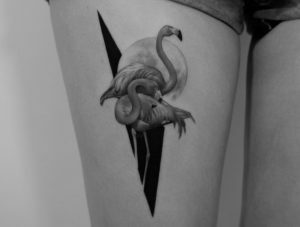 These tattoos can be tattooed thick and bold or curvy and elegant. The lady and sometimes a man holding a pot of water symbolizes Aquarius. The water-bearer is a symbol of service and the pot of emptiness. The emptiness is in the water pitcher, symbolizing Aquarius desire to have it filled again. 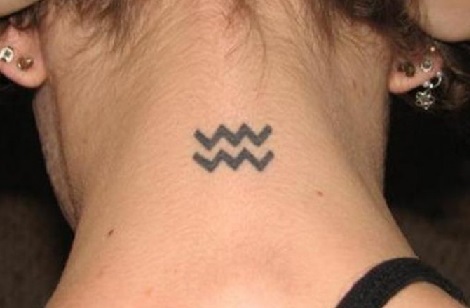 The water of the Aquarius tattoo is symbolic of many different properties including cleansing and healing. Aquarius’ nature is to cleanse themselves and most things around them. This extends to peoples ideals and sometimes thoughts. 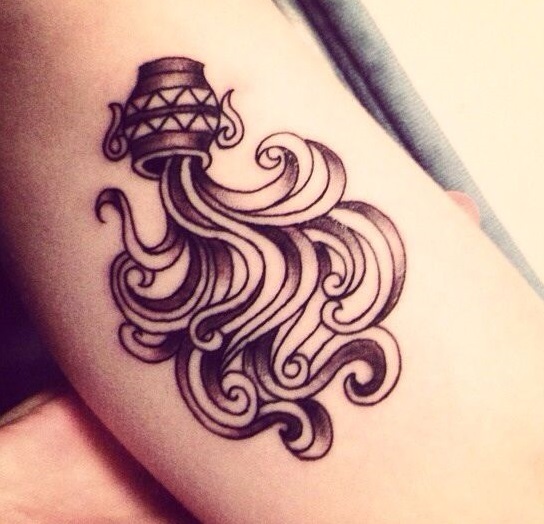 The water glyph is one of the most popular tattoos for women and girls alike. 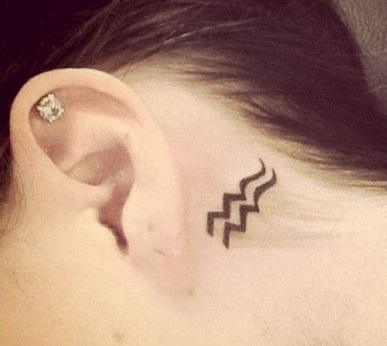 The water glyph sign is commonly located behind the ear and back or neck. Also the water-bearer can be found on arms, hips, feet and chest. 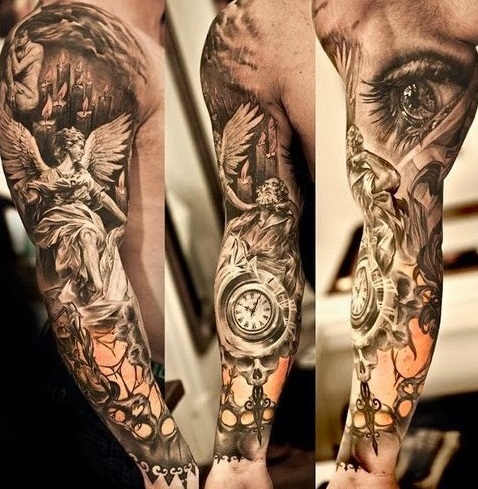 Men like incorporating Aquarius tattoos into a sleeves or designs and tend not to have stand alone Aquarius designs.